We work with people who know their craft, love lighting as an architectural element and appreciate implementation. Our architects and designers care about the lighting they specify and the original design intent being achieved. Our engineers make the project work within often complex parameters. Our builders strive to deliver the project on time and within budget. Our contractors deliver the end product, support and technical advice are crucial to their success. Lights & Tracks bring all of this together. We supply the lighting, the know how, on time and on budget - every time. 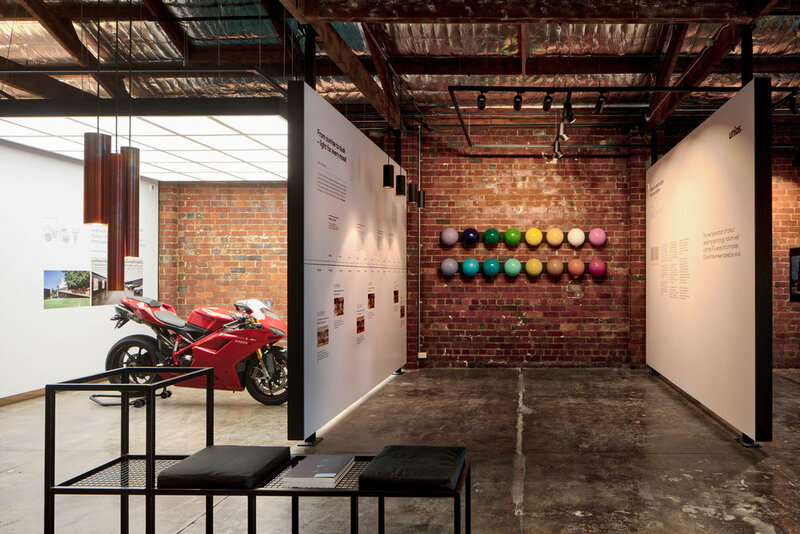 Our latest evolution is the introduction of our new innovative concept showroom located in Nicholson Street Fitzroy, showcasing some of Lights & Tracks feature projects as well as examples of how the latest technology can work in spaces. Our team has industry leading project management experience and a comprehensive knowledge of lighting and it's place within the electrical and construction industry. We are hands on and ready to bring your project to life. Founded in 1974, Lights and Tracks reputation has been built over 43 years of delivering award winning, and innovative lighting projects to the design and construction industry. Founder Keith Ritchie introduced his technical lighting knowledge from extensive experience at Thorn Lighting forming the platform of what we consider a lighting consultation process today. Evolving from primarily a retail business over multiple stores throughout Victoria in the 70's and 80's, the progression of the business saw the introduction of a wholesale division in commercial light fitting fixtures. By the late 90's the focus became one of consultation and supply of distinctive and unique lighting for prestige residential and commercial projects which continues to be the main focus of the business today. The introduction of Keith's son Shaun Ritchie over 15 years ago with extensive construction and technical knowledge has been key in bringing the business to where it is today. Adrian Pizzey who joined the Lights & Tracks family in 2010, has a profound ability to build client relationships which has seen the companies concentration focus on landmark commercial / hospitality and other large scale projects throughout Victoria and Australia.